Elliott, Robinson & Company, LLP is pleased to announce the employee promotion of Christopher A. Myers, CPA to Partner. Chris began his career at ERCPA as an intern in January 2006. 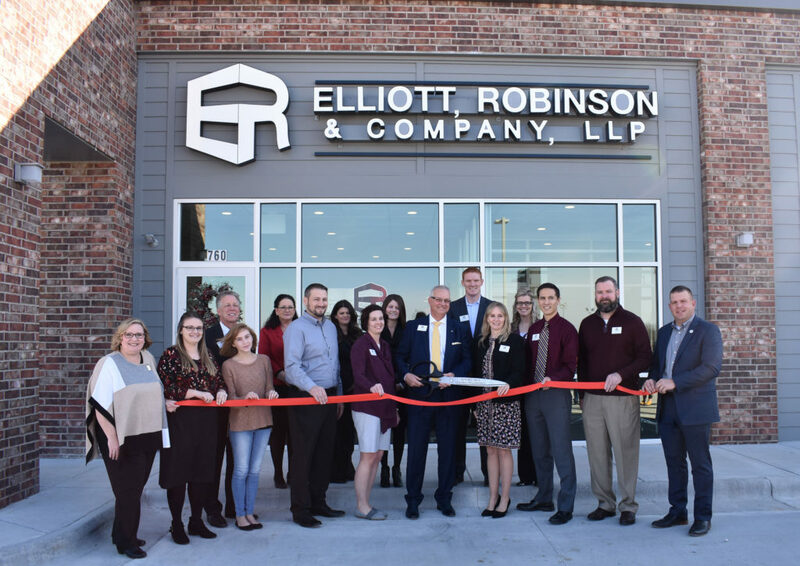 In 2007 he became a full-time accountant, after graduating from Missouri State University with his Bachelor and Master of Accountancy.Chris reached the partner level with a promotion effective January 1, 2018. He specializes in Not-Profit and Uniform Guidance Audits, as well as Governmental RD/HUD audits associated with low income housing tax credit (LIHTC) compliance. Chris is also a Certified QuickBooks ProAdvisor®. He assists many clients in organizing, developing, and implementing efficient and effective QuickBooks® financial accounting systems. In addition, Chris has obtained certifications in QuickBooks® Enterprise Solution for clients with larger, more complex operations and QuickBooks® Point of Sale for clients in the retail industry. Chris is a member of the American Institute of Certified Public Accountants, Missouri Society of Certified Public Accountants, and serves as the Treasurer and President-Elect for the Boys & Girls Clubs of Springfield.